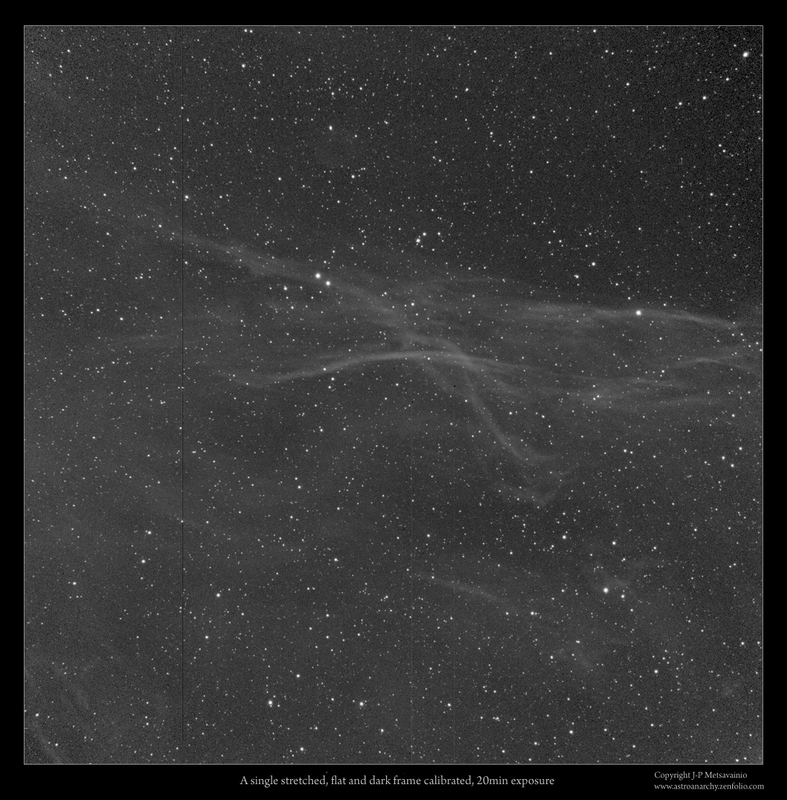 I have spent some clear nights by shooting dim gas structures in Western part of the nebula rich constellation Cygnus. 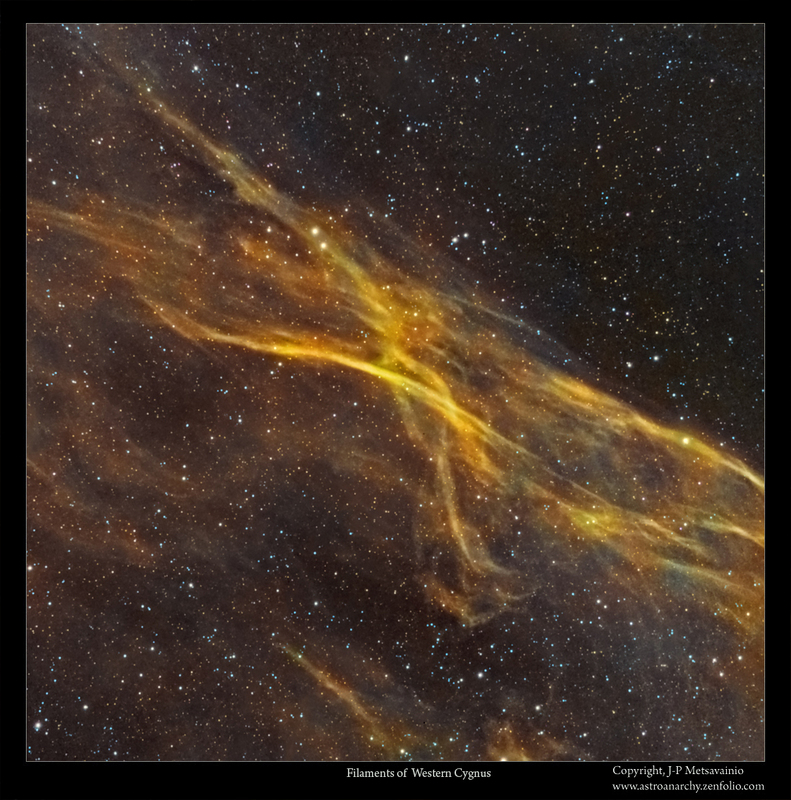 This area of Cygnus is not commonly imaged due to low surface brightness and close proximity of more eye catching nebulae. 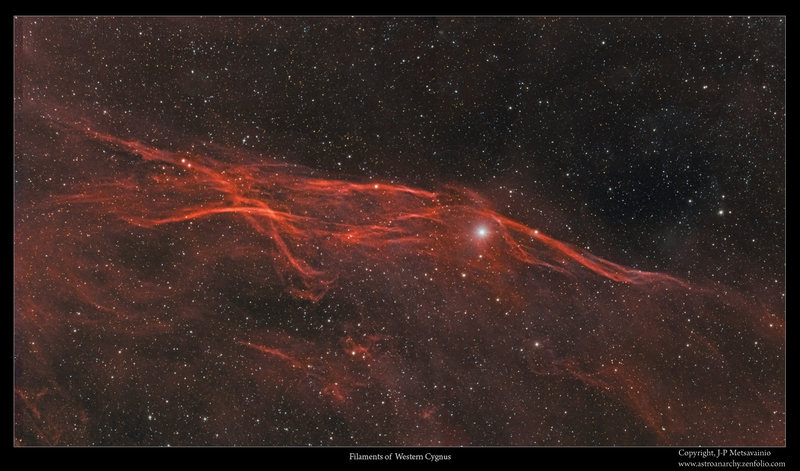 My previous project of Western Cygnus can be seen in this blog post. 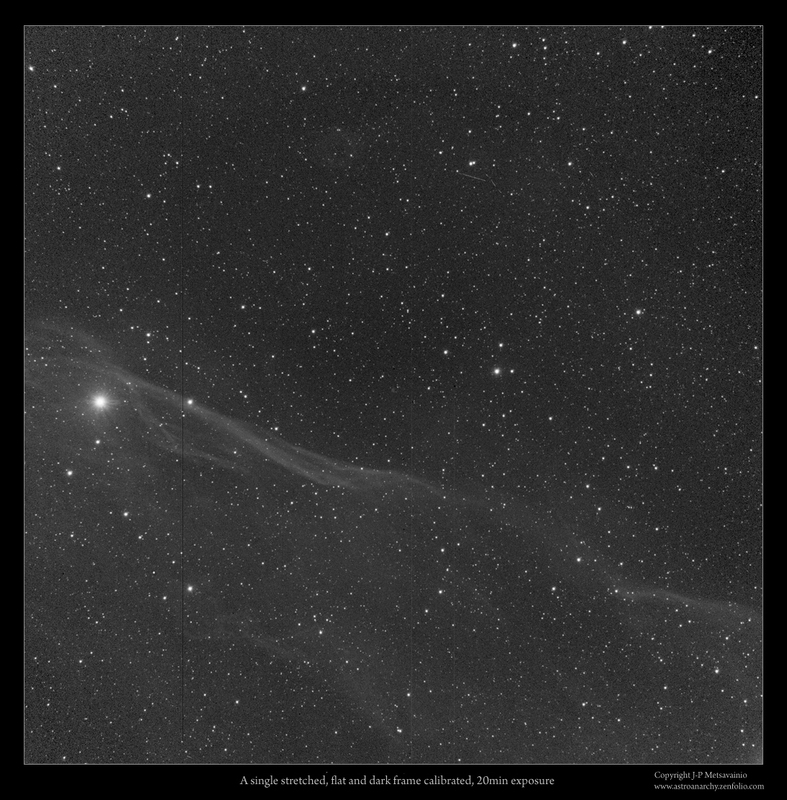 This time I shot a formation around the magnitude 3,96 star, OMI02 Cygni. It can be seen as a most brightest star at middle right. This is a two frame mosaic image. 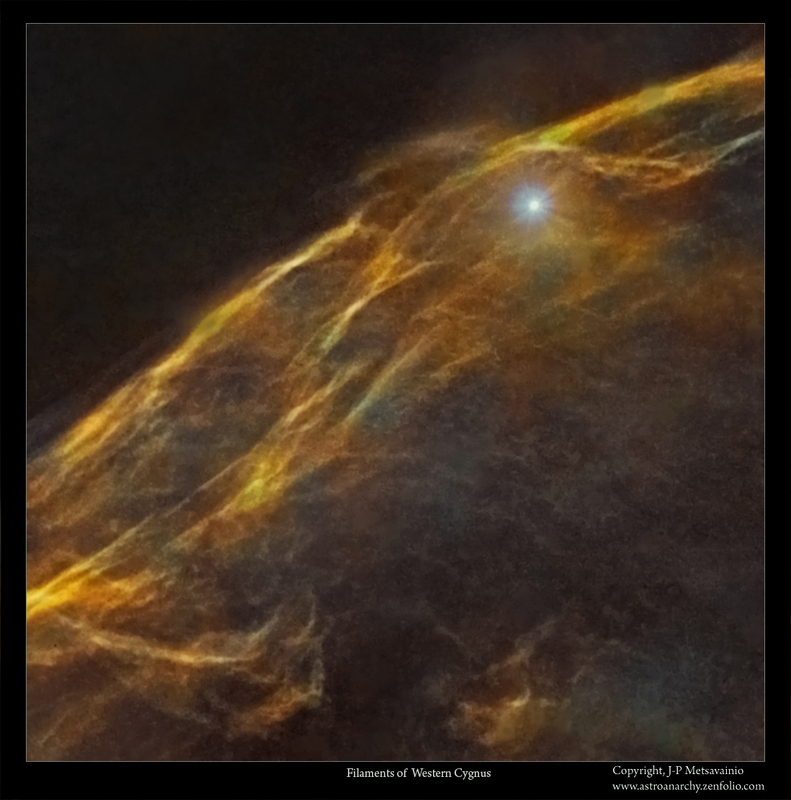 Filaments of glowing gas around the star OMI02 Cygni. 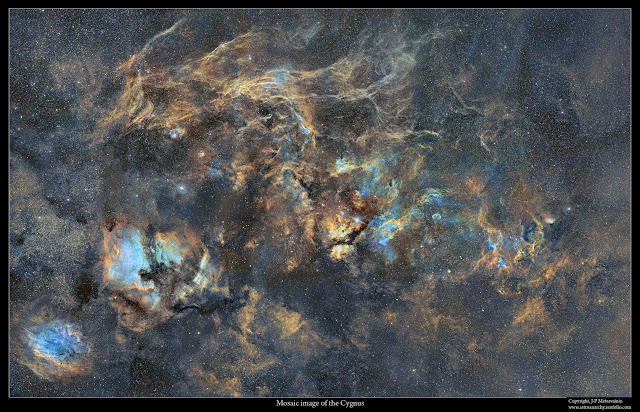 Image is in mapped colors from the light emitted by the ionized elements. Red=Sulfur, Green=Hydrogen and Blue=Oxygen. A 18-panels narrow band mosaic of the constellation Cygnus. Area of interest can be seen at about eleven o'clock position in this image. O-III, 8 x 600s = 1h 20min. S-II, 8 x 600s = 1h 20min.